This light will help you if you ever feel scared in the dark. Our new silicone Bug-Eyez safety LED lights are FUN and BRIGHT! Their tails wrap around an object and tuck under their chins, helping them to stay put just about anywhere! Uses 2 CR-2032 Batteries (Included). Multiple Modes: Steady – Blink – Chase. Up to 30 hours battery life. Multiple colors available. These products are great because anytime you can’t find anything safety light is here to save the day! 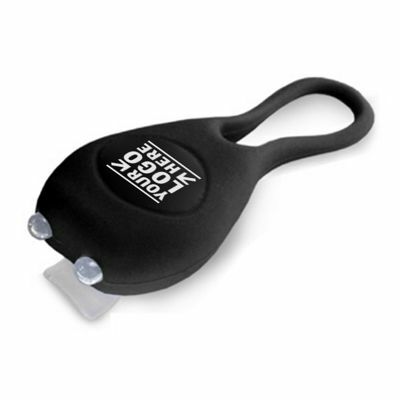 Or if you are in a dark alley and you need light and comfort, safety light is here to shine its way to the finish line. This item is great for promotional business handouts and tradeshow giveaways.